Home \ SLEUTH \ Why do some electric automobiles have to look so . . . weird? That’s the burning question on The Sleuth’s mind, prompted by the recent reveal of the Hyundai Kona EV. It, along with the Kia Soul EV, plus every single Tesla model, look as though they have had their mouths taped shut. It’s as though the designers, who might otherwise be sketching eye-catching front ends, have been given some other mandate. On the other hand, kudos to Nissan’s second-generation Leaf and the new Jaguar I-Pace for appearing normal, with attractive grille-like nosepieces. 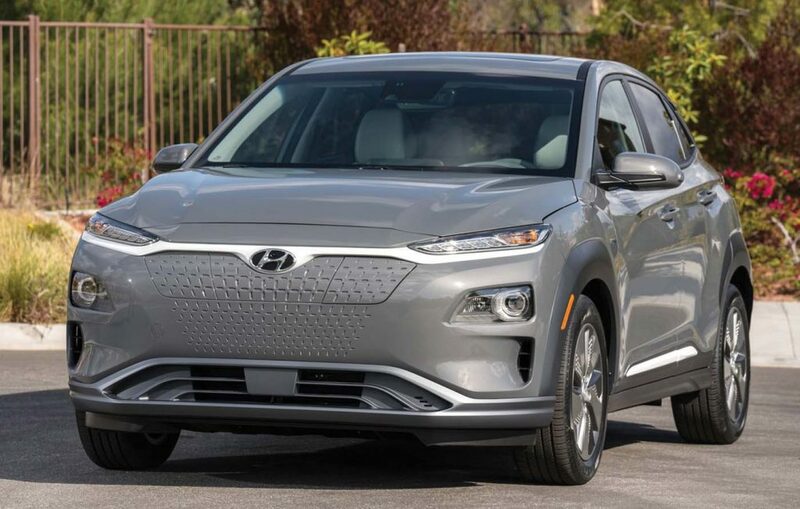 Despite its odd looks, the dimple-face Kona EV’s 201-horsepower electric motor and 64-kilowatt/hour electric battery contribute to an officially maximum range of 258 miles. In addition — with the right charger — recharging to 80 percent capacity will take less than an hour. The Kona will launch in California by the end of the year and elsewhere throughout 2019. Some automakers feel the need to create peculiar designs for the electric versions of their “normal” vehicles. This is the Hyundai Kona EV.